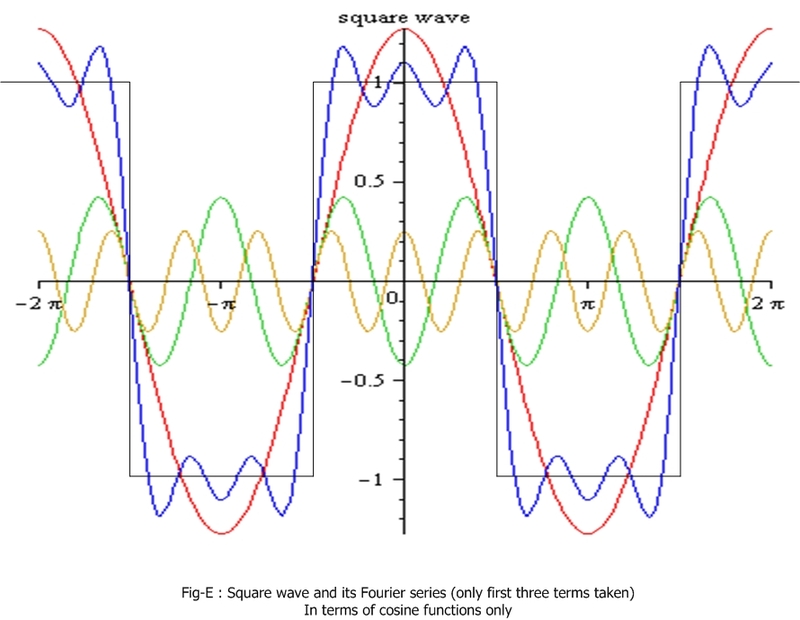 The Fourier Series deals with periodic waves and named after J. Fourier who discovered it. 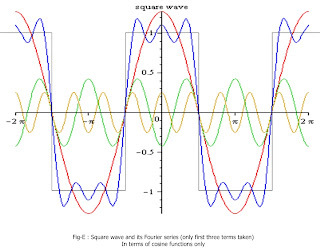 The knowledge of Fourier Series is essential to understand some very useful concepts in Electrical Engineering.Fourier Series is very useful for circuit analysis, electronics, signal processing etc. . The study of Fourier Series is the backbone of Harmonic analysis. 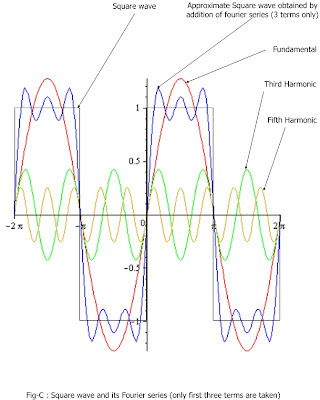 We know that harmonic analysis is used for filter design, noise and signal analysis. etc.. Harmonic analysis is also very important in power system studies. In power network, harmonics are mainly generated by non-linear elements and switching equipment. Although it is a applied mathematics topic but like our previous article here also we will try to minimise the maths and depict in a simpler way. The Fourier series is concerned with periodic waves. 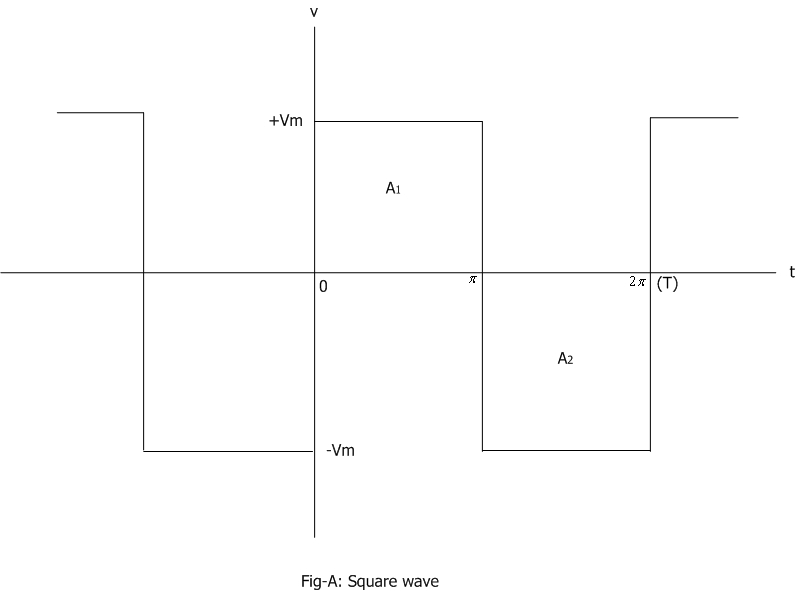 The periodic wave may be rectangular, triangular, saw tooth or any other periodic form(single valued). Here I will also call this periodic wave as signal wave.Any periodic signal wave can be represented as a sum of a series of sinusoidal waves of different frequencies and amplitudes. Otherwise we can also say that a series of sinusoidal waves of different frequencies and amplitudes add up to give a periodic wave of non-sinusoidal form. Let us consider a periodic signal wave v . According to the definition of Fourier series, this periodic signal wave can be written as sum of sinusoidal waves as below. I am not going to show you the details of how I obtained the formulas, but you can remember the three general formulas as shown below for obtaining the coefficients. Many of you may not require to find the harmonics by using the formulas below, but those who are interested can use these formulas. Of course, students are required to remember these formulas. Putting the values of n we obtain different coefficients. For example if n=1 we get a1 and b1. Some knowledge about the properties of the Fourier series will immensely help you. 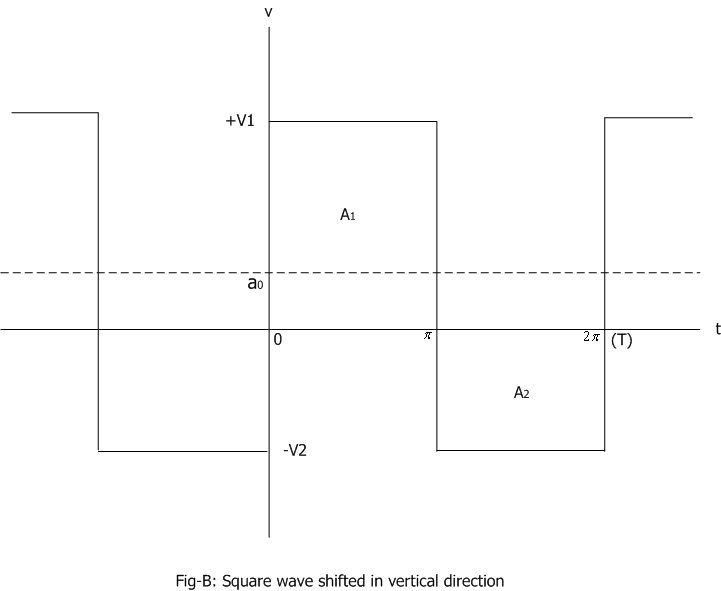 In most cases signal waves maintain symmetry. Depending on the symmetry of the wave we may not be always required to find all the sine and cosine terms coefficients. So now I will guide you through some important properties that you should remember so that just looking at the signal wave you can immediately say which coefficients should be present in the series. 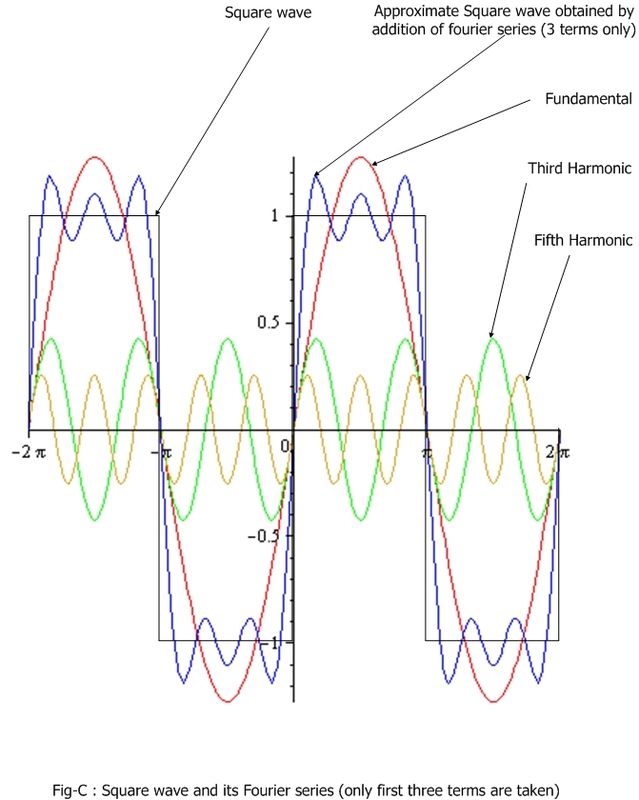 Let us first of all talk a little about harmonics. Every periodic wave has a Time period(T) which is one complete cycle. The whole signal is the repetition of this period. Frequency (N) of the wave is the number of complete cycles in one second. 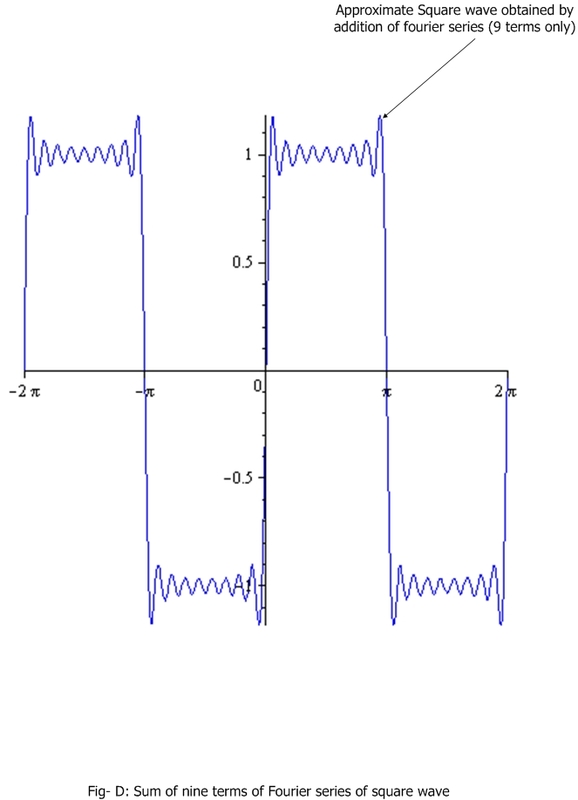 Observe the general Fourier series, it has a component (a1 sin wt), this sinusoid has the same frequency as the actual signal wave and it is called the fundamental component. The next component is (a2 sin 2wt), its frequency is twice that of fundamental (or original signal wave), this sinusoid is called second harmonic. So also the third, fourth etc. As an example if the fundamental wave has a frequency of 60 Hz, then the frequency of second harmonic is 120 (2* 60) Hz, third harmonic 180 Hz, 9th harmonic will be 540 Hz etc. The frequency of nth harmonic is (n.60). redrawn in Fig-B will automatically introduce a0 in Fourier series. The Fourier series having sine and cosine terms can be combined. p = r sin (x + phi) phi is the angle displacement from sin x. (Remember that same harmonics are combined in this form. sin x with cos 2x or cos x with sin 2x etc. are not combined in above form). As the above square wave maintains symmetry about origin so it will be composed of sine waves only. 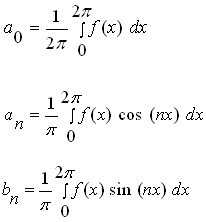 calculated only three terms of the Fourier series ' v ', the fundamental, third harmonic and fifth harmonic. how the blue curve approximates the suare wave so that I had to remove the square wave from the figure for clarity. Taking more terms the curve will be even smoother. 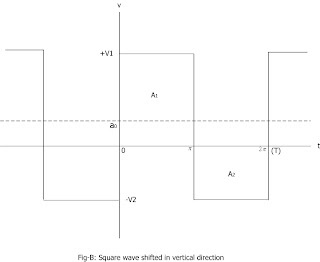 Again consider the square wave. I have now chosen the vertical axis by shifting pi/2 to the right and redrawn in Fig-E. Now applying the above equations for getting the coefficients, we will find that the a0 and the sine term coefficients b1, b2...etc has vanished and only cosine terms are there in the series. It is very important to compare Figure-C and Figure-E. 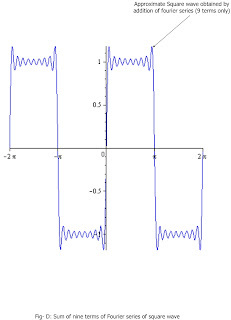 In both cases the square waves are identical. become cosine waves automatically. This is only due to the choice of vertical axis. phase shifted sine(or cosine) terms for each harmonic. exam you may not be allowed to choose axis. 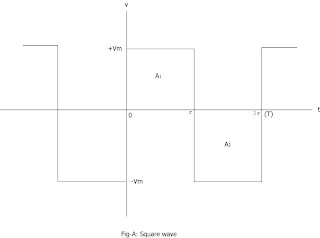 If the signal wave has quarter wave symmetry, then the Fourier expansion will contain only odd harmonics like 3rd, 5th etc.. To test quarter wave symmetry look at the signal wave at Fig-A. Draw an imaginary vertical line passing through T/4. For the +ve half wave if one side of this vertical line is mirror image of other side then the wave shows quarter wave symmetry. This article is very informative. can u send the practical application of this fourier analysis in optics and power systems elaborately. but still I have not understood why do we need to express periodic function in fourier series?...please explain. You have expressed difficult concepts in a very lucid way. Great Blog, Thanks for share this blog. In this blog lot of information is available related to Harmonic Analysis. For some more information please visit our site once power system harmonic analysis .